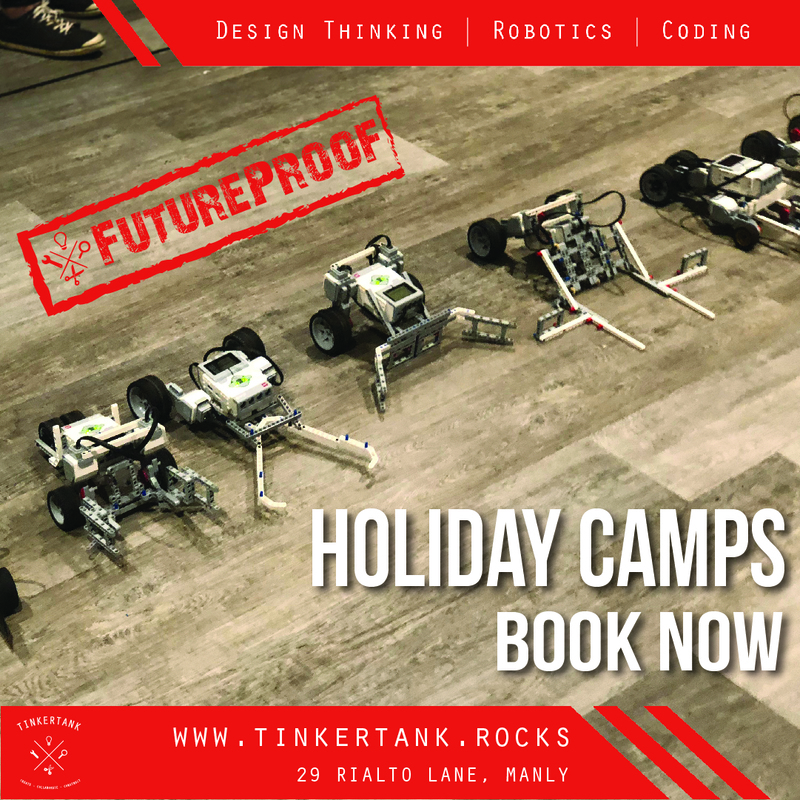 So you're keen on coming to TinkerTank for the holidays - but not quite sure what we do, or how it works. Holidays at TinkerTank are the best. We're in the heart of Manly, we have the coolest space with robots, 3D printers, animation gear, engineers, designers and more; and we let you do all of it! Every day at TinkerTank is different during the holidays - and if you come for multiple days we can make your challenges and projects last for a longer time! Heck, come for the full week - every day will be an adventure! We usually split the group into a younger group and an older. Then we flip flop the am and pm sessions so that students get a chance to try everything - if they wish. Pack a hat and all the snacks and drinks they may need. Sometimes we go out side if the weather is nice.